Sources of data: In conducting the study data and information have been collected from the diversified sources. 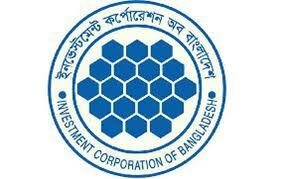 Firstly, data have been collected from the published financial statement and prospectus of the company. Each and every year the firm published the financial report. So, this information from the report has been used for the study. Again, many other published materials are here in the collection of ICB. So, this information has also been used. Meanwhile, there are a lot of published materials, which will also be used for this study purpose. The last but not the least thing is that, assistance from the Internet has also be en taken for the study purpose. However, in conducting the study, mainly the assistance from the financial statements and report of the firm has been taken for the study. Source: calculated on the basis of the performance published in the annual report 2005-06. 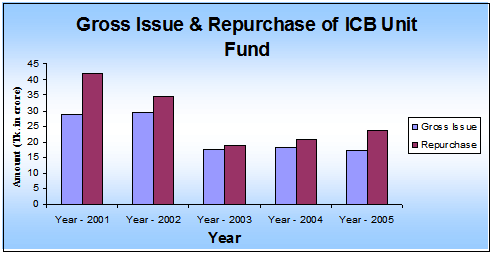 Source: ICB annual report from year 2001 to year 2006.
institutional investment and is subject to 15% deduction of source. In case of individuals, amount of dividends exceeding Tk. 10,000 is subject to 10% deduction at source.